On Friday night (August 21st) on the Calzaghe Promotions bill at Newport Leisure Centre. Gavin Rees, coming off a huge lay off showed he still has what it takes as he faced off against Eastham journeyman Johnny Greaves. Rees who looked in great shape and much more comfortable as a Lightweight faced off against Greaves who came to fight despite having less than 24 hours preparation after the late pull out of original opponent Gary Reid. Rees was aggressive from the opening bell throwing quick combinations trying to trap his man on the ropes. The right hook to the body was working well for Rees, who didn’t let up on Greaves. The second round was an entertaining one with Rees landing some hard shots but also eating a few straight lefts from Greaves, who after getting hit with a good combination responded with an Ali shuffle which seemed to delight the crowd, both men began to showboat, but it was Rees who was landing the more telling shots. The 30 year old Greaves had taken enough and after little deliberation his corner wisely pulled out their charge before the start of the fifth. Rees will be happy with his performance after such a long layoff and will be glad to get be back in the ring doing what he does best. Afterwards, Rees admitted he was quite tired but was happy to get rid of some of the ring rust that had no doubt gathered. He stated his desire to stay busy from now up until Christmas and said he has his sights firmly set on the winner of the upcoming John Murray and John Thaxton fight. Rees who improves to 28-1, will hope he can get back to where he once was and regain the form that saw him capture the WBA belt against Souleymane M’baye just two years ago, with the confidence he showed tonight after such a long lay off it is hard to envisage him not getting back to where he wants and no doubt where he believes he should be. In the co-feature Bradley Pryce, coming off a six month lay off easily beat journey man Michael Monaghan via unanimous decision. The referee scored the bout 100-91 in favour of the Welshman. Fighting for the first time since his Commonwealth title defeat to Matthew Hall, Pryce didn’t lose a round in what was an expected victory. Pryce who promised to be a stronger fighter after his recent troubles with bulimia, started off at a slow pace which was perhaps expected of a fighter who normally prefers to stay active. The first two rounds set the tone for the fight with Pryce electing to box all whilst throwing stinging body shots that kept Monaghan at bay. Pryce began to open up in round three putting together a series of combinations, although Monaghan showed he was game, by responding with some shots of his own whilst waving Bradley on. Over the next few rounds it was clear that Pryce was content to box his way to a point’s decision, each time he landed with good shots rather step it up a gear and finish his man the Welshman would simply admire his work and go back to boxing. While the man they call Sweet Sugar was winning comfortably, he was still getting tagged with too many shots, particularly straight right hands, he will have to rectify this as he moves back up in class. The right uppercut was working well for Pryce and in round nine he landed the best shots of the fights, three consecutive uppercuts rocked the Englishman and he was there for the taking, once again Pryce stood back and did a little showboating rather finish his man. Pryce who improves to 28-7, will be happy he’s back and got a good few rounds under his belt, and while he maybe disappointed he didn’t get the stoppage in front of his fans it must be noted that Michael Monaghan did himself proud always throwing punches and not taking a backward step, he come to fight and was not there merely to survive like many journey man. At the fights conclusion Pryce thanked the fans in attendance for supporting him and vowed to be back in British and Commonwealth title contention within two fights. He again called out current champion Anthony Small, stating that he’s beat him before and will beat him again. Only time will tell, whether Pryce will put himself back in contention, tonight’s fight was hard to gauge but it seems inevitable that Small will want to avenge his only loss, so a potential rematch looms in the not too distant future. Wayne Brooks coming off a recent draw in his last bout at the same venue beat Mark Lewis in a comprehensive point’s victory, boxing over four rounds; Brooks took every round with the referee scoring the contest 40-36. Brooks improves to 5-2-2 . 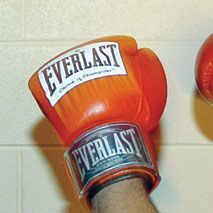 Due to problems with his opponent’s weight, Newport born Matthew Edmonds fought in an exhibition over four two minute rounds against Anwar Alfadi. This shouldn’t bother the Welshman too much who faces Martin Power three weeks from now in a final eliminator for the British title.